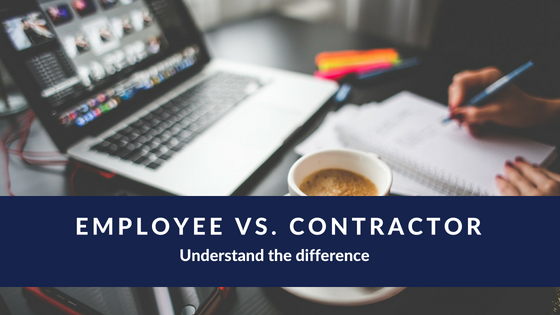 Employee vs contractor: which one am I and what's the difference? Home » Small Business » Employee vs. contractor: What’s the difference? Employee or contractor? This is a common question among full-time travelers who work on the road. What’s the difference between an employee and contractor and how does it affect your tax obligations? Let’s get to it, so you can more easily figure out which one fits you best. As an employee, you should receive a W2 from your employer. This will report your earned income and any taxes withheld. As an employee of a company, the company pays half of your Medicare and Social Security taxes. The other half is withheld from your paycheck and paid directly to the US Treasury by your employer. These amounts will show on your W2 at the end of the year. All you need to do at income tax time is report the numbers shown on your W2. You don’t owe tax estimates on this income. If you are an independent contractor, things get a bit more complicated. Whether you know it or not, as an independent contractor you are now a business. An individual is a business called a sole proprietor if you have not formally established another type of business entity (i.e. corporation or Limited Liability Company, etc.). Still confused? Hang in there. As an independent contractor who is self-employed, your income is subject to self-employment tax. You should receive a 1099 for any earned income over $600, which you will use to figure out your self-employment income. You carry on a trade or business as a sole proprietor, LLC or receive income as an independent contractor (a 1099). You are a member of a partnership that carries on a trade or business. Keep in mind partnerships must file a partnership return AND each partner files his/her own individual income return! You are otherwise in business for yourself, including a part-time business like a blog. Don’t forget to record any expenses related to the self-employment income or independent contractor work. Keep all receipts. Record mileage dates, purpose for the trip, etc. Expenses could include mileage, supplies, insurance, required licensing, etc. Remember these expenses can get deducted from your business income to get your net profit (profit is what you pay self employment tax on). As a self-employed individual, you’ll need to pay estimated quarterly taxes. These payments will include your self-employment tax (SE tax) and income tax you might owe. As an employee, you pay half of the social security and Medicare taxes (7.65% of your wages) and your employer pays the other half. As an independent contractor (self-employed), you have to pay all the social security and Medicare taxes (15.3% of your “net profit”). Keep in mind you have to pay the self-employment tax even if you don’t have enough income after deductions/exemptions to owe income tax! Before you can determine if you are subject to self-employment tax, you must figure your net profit or net loss from your business. If any net earnings from self-employment are $400 or more, you need to file a Schedule C or C-EZ attachment (business income/expenses) with your income tax return. Quarterly tax payments are due April 15, June 15, September 15, and January 15 (the following year). A good accountant can help you create estimates based on income throughout the year. Talk to your trusted tax professional about any questions you may have related to quarterly estimated payments. As a self-employed sole proprietor, you will need to use Schedule C (or Schedule C-EZ to report your income or loss from your business. Can you use Schedule C-EZ? Had business expenses of $5,000 or less? Use the cash method of accounting? Had no inventory at any time during the year? Had no employees during the year? Do not deduct expenses for business use of your home? Remember to talk to a trusted professional to see which form is best for you. A partnership files a separate tax return called Form 1065. This form reports the income of the partners to the IRS as well as providing forms for each partner to report on his/her individual income tax return. Be aware you still owe tax on this income and you should be making quarterly estimated income tax payments. Did you form an LLC for your contractor work? No problem. If you are a sole proprietor LLC, then follow the sole proprietor rules and file a Schedule C.
If your LLC elects S-Corp status, then the LLC files its own return (1120-S). Once again you’ll still need to make quarterly payments on any excess income earned as dividends through the LLC. Keep in mind you and any other members should be receiving a salary from the LLC which means you’re an employee of your own company. The LLC gets to take the employee Medicare and Social Security as expenses and you should receive a W2 with taxes withheld. 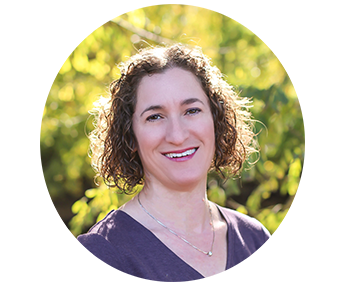 If entity choice confuses you, then check out this post about choosing the right entity for your business. Did you have any further questions related to employee vs. contractor? Ask them below.